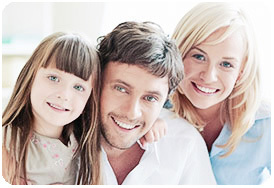 Let us show you what truly exceptional dental care is about. Our goal at Deepwater Dental is to deliver Quality and Gentle dental care – making it a pleasant experience for you every time! Wisdom teeth, or third molars, usually appear in adults between the ages of 17 and 25 and are the final set of molars that most people get. While most will eventually have their wisdom teeth removed, not everyone needs to do so. There are several factors that will affect how easy it is to remove the wisdom teeth. If the tooth has fully erupted, it is a similar procedure to a typical tooth extraction. Having root canal treatment on a tooth does not mean that the tooth will need to be pulled out in a few years. Once a tooth is treated, and restored with a filling or crown, it often will last the rest of your life. 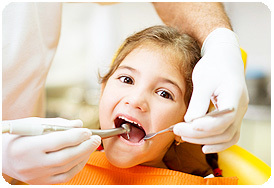 Endodontics is the branch of dentistry that deals with diseases of the tooth’s pulp. The pulp is found in the center of the tooth and in canals (called root canals) inside the root of each tooth. Pulp includes connective tissue, nerves and blood vessels. Pulp nourishes the tooth when it first emerges through the gum. Crowns are fabricated from various materials including porcelain, gold, and other metals. Dental crowns and tooth bridges are two of the most widely used dental restorations that are used to replace missing teeth in a patient’s mouth. Both are fixed prosthetic devices that are anchored onto existing teeth or cemented onto dental implants. Composite fillings are also called plastic or white fillings. Getting this kind of filling depends on where the tooth is in your mouth. We bite down hard on our back teeth (molars), so a plastic filling may not be a good choice. The concept of a “filling” is replacing and restoring your tooth structure that is damaged due to decay or fracture with a material. Scaling is a treatment which cleans teeth by removing food particles (which are present in the teeth as well as the gums), tartar, external strains which are difficult to remove while brushing. Scaling is a regular procedure and it does not affect ones teeth, in fact it cleans teeth and maintains dental hygiene. No anesthesia is required in this process. Most of the extreme dental makeovers are done with porcelain veneers. Veneers offer one of the best dentistry options for people wanting to improve their smiles. With veneers, you can whiten your teeth beyond what tooth whitening can accomplish. Veneers can also be used to align or straighten crooked teeth or to eliminate spaces between the teeth. Veneers also reflect light and have a luster like enamel. The development of dental implants has created an alternative to dentures in replacing missing teeth. Dental implants are synthetic replacements for the roots of the missing teeth. They are attached to the jawbone and act as the basis for an artificial tooth or a dental bridge. 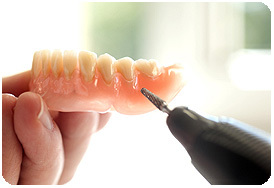 Dentures can also be attached to implants in most cases. Dental Braces are an excellent means of teeth straightening. They can dramatically affect your appearance and orthodontics can correct TMJ disorder as well as reduce your susceptibility to dental decay and periodontal disease. Typically, orthodontic treatment consists of the application of small ceramic or metal brackets to the teeth. These brackets are attached to an arch wire which helps shape the teeth. Often springs and rubber bands are also used to help move the teeth. Your Invisalign treatment consists of a series of nearly invisible, removable aligners that you change every two weeks for the next set of aligners. Each aligner is individually manufactured for your teeth, and your teeth only. As you replace each aligner, your teeth will move – little by little, week by week – until they have straightened to the final position prescribed by your dental provider.